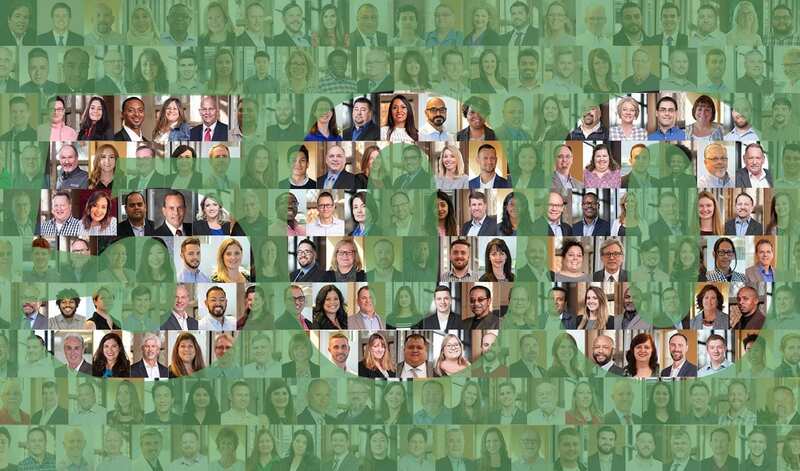 Sevan is celebrating another milestone—the company reached 500 team members in November. And this one came up pretty quickly. Seven years ago, the company started in Downers Grove, Illinois with five ambitious leaders. Their motivation and drive immediately became the roots of a rapidly growing company. The leaders had a vision: to be the best in the world at delivering innovative design, program management and construction services to companies with multiple sites. That vision is fueled by having the right team members in place to succeed. Today, Sevan’s company footprint spans across 41 states and an additional new team just joined in London, where an office will open on January 2, 2019. Sevan also had its largest group attend the company’s New Hire Orientation, a three-day team meeting that consisted of company leaders sharing stories, useful information, plans and goals. More than 30 people attended the orientation, and this was the largest group to date. Early on, President and Chief Executive Officer Jim Evans knew the company would need a strong team of leaders to deliver excellent results. “It feels great to have so many wonderful people on our team, and our start in 2011 seems like just yesterday,” he said. With Sevan’s increased number of clients and project scopes, one of the company’s priorities is hiring top talent. On Sevan’s seven-year anniversary, the company took all team members on a cruise for a company meeting and some fun.